Billionaire entrepreneur and SpaceX owner Elon Musk has today announced his ambitious plans to put humans on Mars by 2024. The plans call for two cargo craft to be dispatched to the Red Planet by 2022. These ships would ferry power units, mining rigs, and life support systems to be used by Mars pioneers arriving later in manned flights. Musk’s visionary plan involves the development and construction of a brand new rocket, dubbed the BFR. Officially, BFR stands for Big Falcon Rocket, though SpaceX staff knows it by a more colourful name. The BFR craft would carry one hundred passengers accomodated across 40 private cabins all the way to Mars. Ideally, the BFR would be a reusable craft, to reduce costs. Thus Musk spoke at the International Astronautical Congress in Australia, though his words, while brave and inspirational, must perhaps be taken with a certain degree of skepticism. SpaceX’s track record is peppered with both great successes and well publicized failures, and Musk himself is known for issuing ambitious deadlines that have come and gone without delivering on their intentions. Nevertheless, the race to the Red Planet is well and truly underway. Speaking at the same event was a representative from Lockheed Martin, who said that the company is working on a ‘Mars Base Camp’, a sort of mini space colony being developed for NASA. The components for the camp may be developed in the new Deep Space Gateway, the brand new spaceport intended to be put into the Moon’s orbit in the near future. Astronomers now have strong evidence about the presence of a supermassive black hole near the very center of the Milky Way. The invisible monster is a superdense area of space with a mass equivalent to about 100,000 suns. It is hiding inside a cloud of toxic gases drifting near the center of our galaxy. A black hole is an anomaly created when a celestial body, usually a star, runs out of fuel and collapses unto itself under the force of gravity. Over time, gargantuan amounts of matter are compressed into a relatively small area of space, creating a super-dense region with such colossal gravitational pull that not even light can escape. It is because of this trait that black holes are only revealed through special equipment and by observing the behavior of nearby space bodies. In this case, the presence of the black hole was given away by the unusually fast-moving gases surrounding it. Astronomers in Japan observed that the elements wafting around this particular cloud formation, which is a gigantic gas behemoth 150 trillion kms. wide and is located about 200 light years from the heart of the Milky Way, were moving way quicker and at totally different speeds that those in similar clouds elsewhere in space. The researchers ran computer models based on the data gathered, and the most likely result was that the gases were being subjected to enormous gravitational forces exerted by an unseen object. 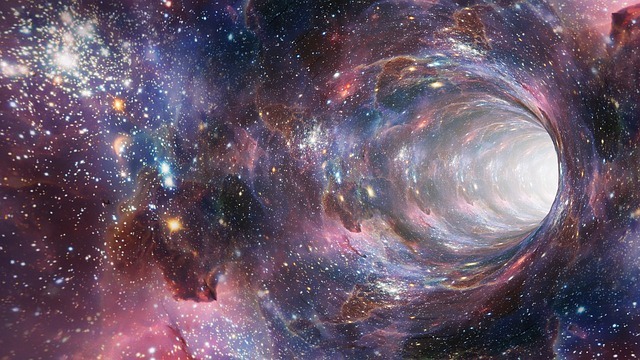 Further proof of the presence of a black hole was obtained when radio waves that typically originate inside these galactic anomalies were picked up. This is the second largest known black hole present in the Milky Way, after Sagittarius A, a cosmic monster lurking at the very heart of the galaxy, 26,000 light years away from us.